I’m about to tell you two things that will allow you to compose piano music many levels above your current standard. What’s more, when you use these two techniques, you’ll find it far easier to compose, and the exciting musical ideas you have over and over again will surprise even yourself. Firstly, I’d like to give you some background on where these techniques came from. This way you will be confident that they are going to work, which will make you far more likely to use them! You see, a few years ago I was extremely frustrated with my ability to compose music. I occasionally would have a good idea, compose a good song here and there… but I was never satisfied and knew I had FAR more potential that I wasn’t tapping into. For this reason, I began researching areas such as creativity, as well as where human genius comes from. I knew that the “musical geniuses” of the world MUST be doing something quite different from the “average musician” to get their amazing results. After months of tireless research I began to uncover concepts, ideas, and techniques that allowed me to begin using the LARGE amounts of creativity I knew I had. It was unbelievable as I began to use these techniques, and my ability to compose piano music literally exploded. My friends, family and fans could not believe the difference they were hearing in my compositions . I found that using these new ideas I could constantly create new, unique, and EXCITING pieces of music. The level of creativity in my compositions was almost unbelievable, compared to earlier works. 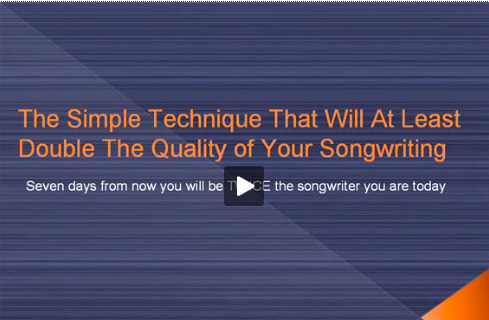 It were these discoveries that led me to publishing a course titled The Songwriting Genius Within You. This course aimed to removed the barriers that block musicians from discovering their full potential as composers/songwriters. The course took several months to complete, and every effort was made to make it extremely easy to follow, and yield powerful results for the musicians who used it. In the course are many concepts, techniques and exercises that draw out your “inner genius” - the creative potential that has been tucked away deep in your mind for years. The results have been quite breathtaking. Many musicians who have taken the course have reported amazing breakthroughs, creative explosions in their song writing, and dramatic increases in the quality of their songs. There‘s a particularly quote from a “Songwriting Genius Within You“ student that I feel sums up the benefit you can get from the program perfectly. This quote is, “I’ve finally found that inner talent I’ve been looking for my whole life“. If you want to compose piano music to your full potential, the course comes highly recommended. Of course I’m as biased as it gets as I created the course, however the stories from musicians who have taken the course indicate the process is as powerful or more than I’ve just described. Now, I’d also like to take this opportunity to give you a sample of the course material, so you can see it’s power in your own music composition. There’s an exercise that I call FreePlaying, that takes advantage of many of the concepts I discovered in my research. This exercise will allow you to compose piano music many levels above your current compositional abilities. It’s amazing as you follow the simple instructions in this exercise, as you’ll find exciting musical ideas come to you, seemingly of their own accord. By the time you finish the exercise, you will have created many magical music ideas that you’ll be able to take and compile into full, polished pieces of music.